BRIDGETOWN - Exploration of Barbados’ potential offshore petroleum resources is expected to begin within the next year. Speaking in Trinidad last week at a regional symposium on Strengthening CARICOM Energy Collaboration, minister with responsibility for energy, Senator Darcy Boyce stated that Barbados had successfully negotiated exploration licences for two blocks with BHP Billiton and had awarded another block to Repsol. 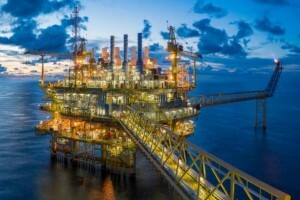 Noting that Barbados had a substantial offshore petroleum acreage comprising more than 70 000 square kilometres, Boyce said that going forward, it was the intention of the Energy Division to continue to market the island’s offshore acreage internationally, with the hope of generating more investment and exploration opportunities. Further, he disclosed, in consideration of the industry’s renewed interest in offshore deep-water exploration, particularly within the Caribbean region, it was Barbados’ intention to restart its licensing efforts within the next year. He gave the assurance that as a tourist oriented country, great care was being taken in the pursuit of this initiative, in order to ensure the preservation and protection of the coastal and marine environment. In this regard, the energy minister stressed the importance of strengthening collaboration with both the established and emerging offshore oil and gas jurisdictions within the Caribbean Community (CARICOM), describing this as a critical step in charting a successful energy future.